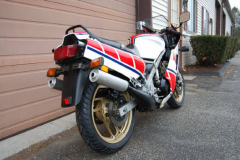 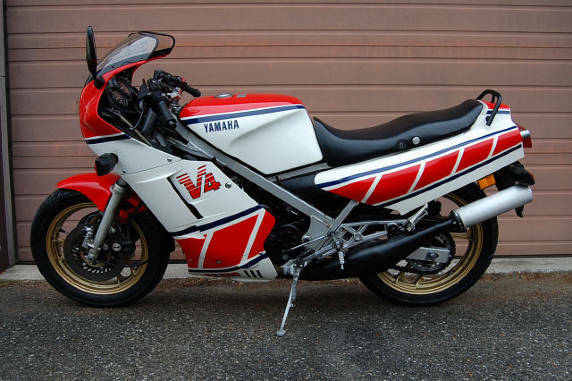 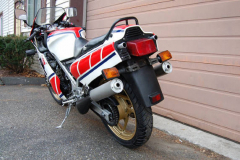 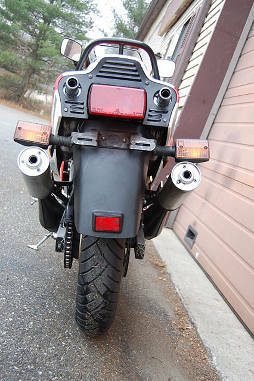 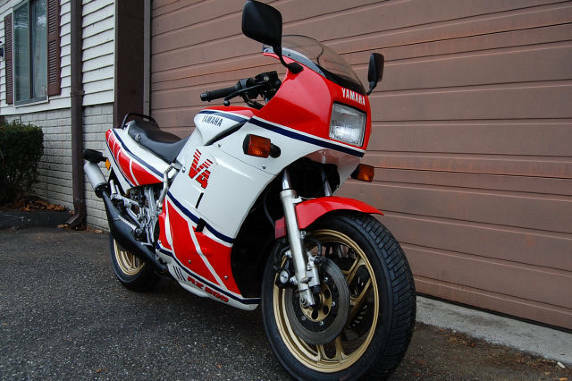 1985 Yamaha RZ 500 Red with white color scheme. 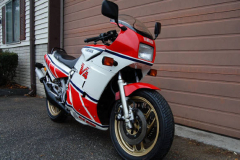 31,000 kilometers(about 19,500 miles) V-4 two stroke engine with YPVS. 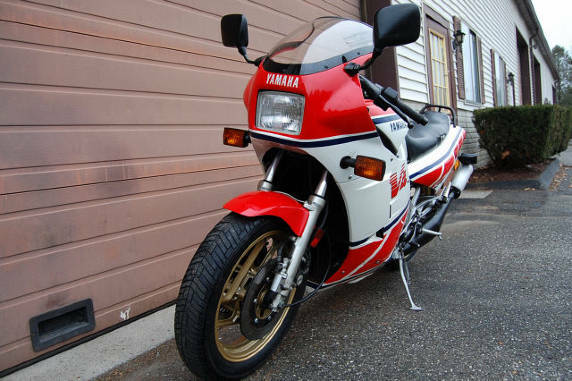 one owner bike purchased new in 1985 from the Candian Yamaha dealer.Brought into the USA and registered and titled in the same state since new. 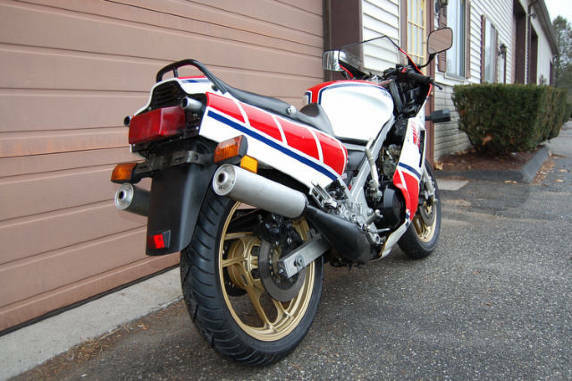 Totally original in very good condition with original paint on the tank. The bike shows well and runs very well, once I purchased it, I had all fluids changed, the bike has a new air filter and battery. 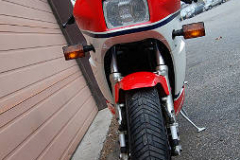 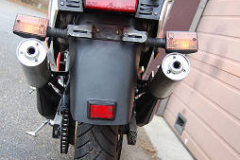 The body work has some small scratches under the grab rail on the back, the body work around the area where the turn signals come out has a small amount cut out of it probably from the bike falling over at some point as the front brake lever is bent. 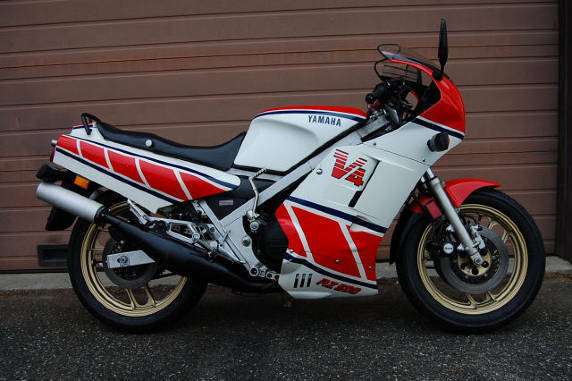 I see no evidence the bike has gone down at speed and the tank is undented and original paint as is the rest of the body work.. 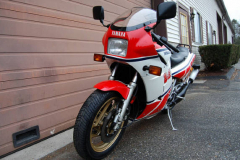 The first owner who I purchased the bike from was about 50 years old when he purchased it new so it was always owned by an adult, he used it for commuting which how the miles were put on the bike. 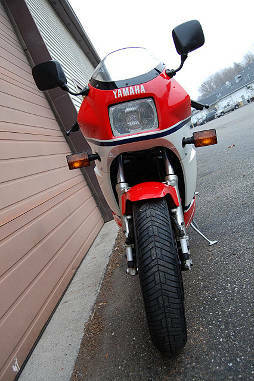 The YPVS powers right up when you turn the key on and the bike runs out very nicely.